News > Monkey Business 3.16.06 Release - upgrade today! Monkey Business 3.16.06 Release - upgrade today! 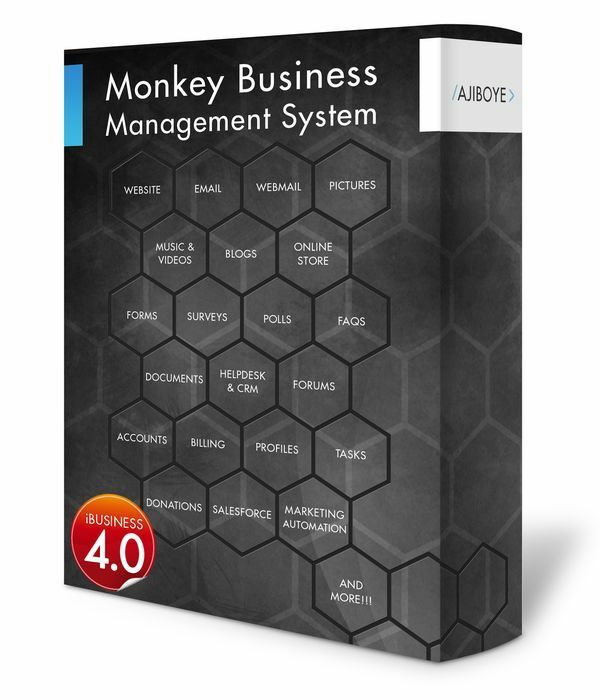 Greenwich, CT — Monday, June 29 2015 — AJIBOYE is pleased to announce the release of Monkey Business 3.16.06. Add Page function now allows selection of the website template for the new page link, speeding up the publishing workflow. Automatic maximum width set for full webpage editor now constrains content editing space to the available space in the active website template. New parent container, and New container before selection options allows for even faster content layout. Close Account Dashboard option for administrators. Disable Account Dashboard option for administrators. Saved Orders Dashboard option for administrators. Wishlist Dashboard option for administrators. Account Search now matches phone contacts, full address, company name and type. Better visual presentation of discounts on product pricing in the store. Restructured bottom navigation options ( Social Sharing and Go Back ) for store-related pages. Email contacts in static mailinglists like delimited text files are now automatically added to the Accounts database, creating user accounts for the email address provides easier, faster and seamless aggregation of all email contacts in the business universe for comprehensive management , communication targeting and experience management. Email messages created in the communications manager can now also be driven by the Marketing Automation system, freeing up content managers from managing distribution messages for automated email marketing, but also synchronizing the email messages sent via the communication manager with other email messages from other apps, enforcing the email delivery limits per contact rules.